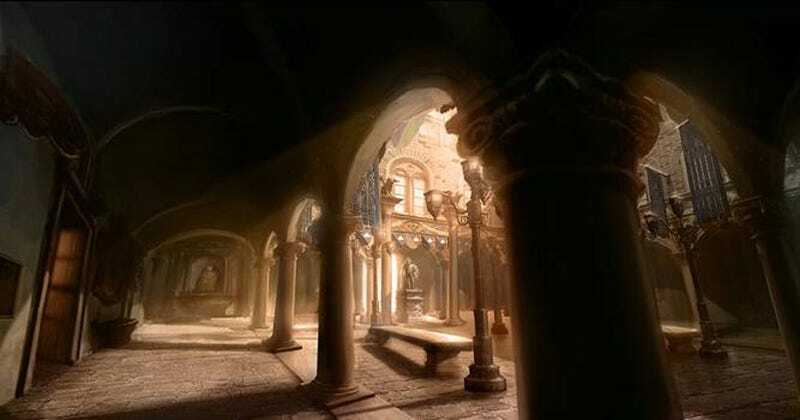 Placing your money down on a copy of Assassin's Creed II at your local GameStop not only reserves you a copy of the game, but also your very own Renaissance palace to romp through. The Palazzo Medici was designed by Michelozzo di Bartolomeo for Cosimo de' Medici of the famous Medici family. Built between 1445 and 1460, the palace is rumored to have great treasures hidden within its walls, and Ubisoft has teamed with GameStop to help you lay those treasures bare. Players who pre-order Assassin's Creed II for either the Xbox 360 or PlayStation 3 will receive a code that allows them to wander around inside as the game's main character, Ezio, pilfering treasure, climbing walls, and generally doing what he does best. Who knows what treasures lurk within the walls of the Palazzo Medici? I guess we will, come November 17th.